Courtnee Westendorf, chief marketing officer for the Oakland Raiders, knows what it’s like to succeed despite being in the extreme minority of women in Silicon Valley. They all seemed to agree: Women need to relax and be themselves in the workplace — and not twist themselves into what they think they need to be in order to succeed. “It’s really a fine-tuned balance of trusting your gut and knowing your sh-t that makes it all work out in the end,” said Jolly, who writes for The New York Times, of overcoming the challenges women face in the workplace. TheWrap’s Power Women Breakfast raised money for Women’s Audio Mission, a San Francisco-based non-profit organization dedicated to the advancement of women in music production and the recording arts. In a field where women are chronically under-represented (less than 5 percent), WAM seeks to “change the face of sound” by providing hands-on training, experience, career counseling and job placement to women and girls in media technology for music, radio, film, television and the Internet. Those who donated to the charity auction were Dolby, Women’s Audio Mission, The Oakland Raiders, photographer Joel Bernstein, Surf Air and Skin Fitness Ocean Treatment. 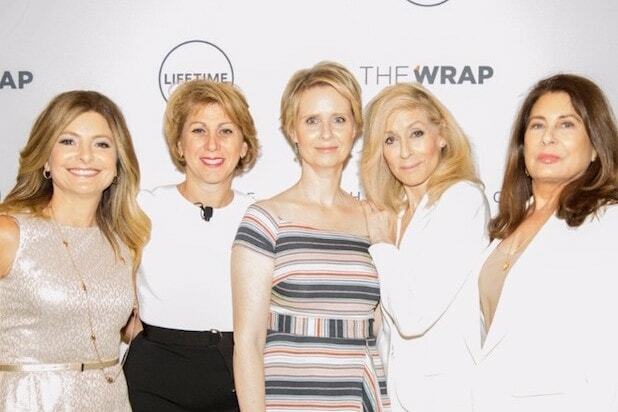 Previous speakers at TheWrap’s Power Women breakfast series have included Academy Award-winning actress Helen Mirren, comedian Chelsea Handler, Game of Thrones’ actress Emilia Clarke, activist-actress Salma Hayek, producer and entrepreneur Gail Berman, California Attorney General Kamala Harris, Minnesota Sen. Amy Klobuchar, New York Times Columnist Maureen Dowd, media executive Nancy Tellem, digital executive Susan Lyne, technology journalist Kara Swisher and many others. Presenting sponsors of the Power Women breakfast were Dolby Laboratories, Box and Okta. Other sponsors included CreativeFuture, travel partner Surf Air and fashion partner Ferragamo. TheWrap broadcasted the event on Facebook Live! Go to FB.com/TheWrap to watch the archived footage. Watch the full video of the panel above.